Wild harvested from the Dhofar region in Oman. 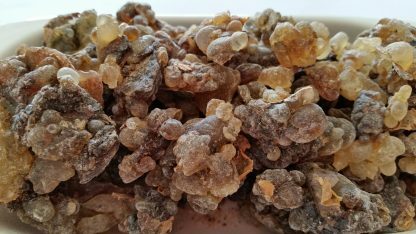 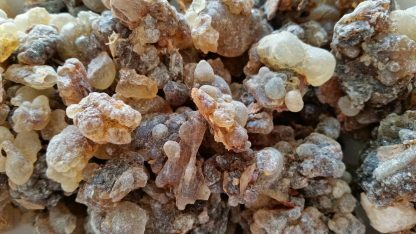 Comes from frankincense trees of Boswellia Sacra genus. 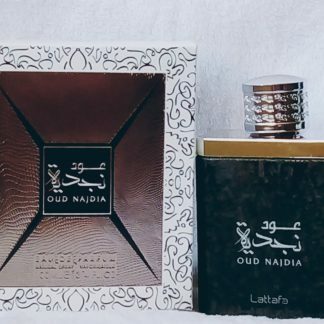 This region produces the best frankincense in Oman, grade that is specially set aside for the royal family. The Black Frankincense has a fresh citrus-y twist to frankincense aroma. 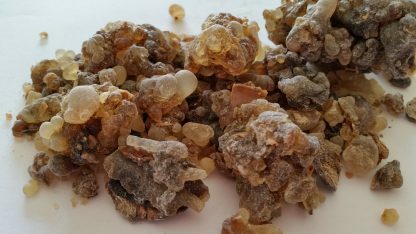 This black-honey coloured resin has an aroma in the sweet and spicy tones. 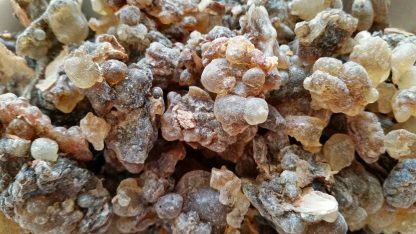 Black frankincense is the last stage of the healing process of the tree, it has all the other grades gelled together, too. 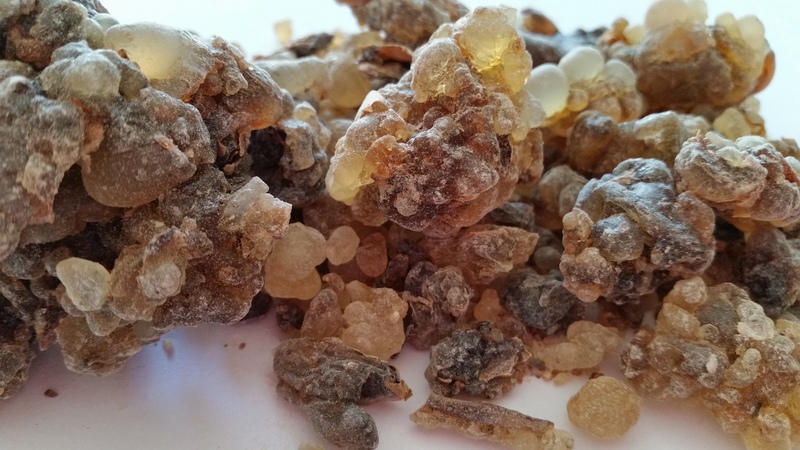 You can break bigger pieces into smaller pea-sized pieces for burning. Commonly used in aromatherapy as mood enhancer, to alleviate anxiety and stress.